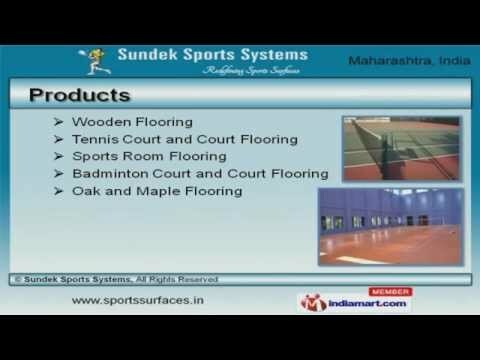 Welcome to Sundek Sports Systems, Manufacturer and Exporter of Indoor and Outdoor Sports Surfaces. We are an ISO NSIC CRISIL rated organization, established in 2010 at Mumbai. Our products are applicable in Clubs, Schools, Hotels and other areas. Our Immense industry experience and Timely project completion help us to serve Clientele like Cricket Club of India, Orissa Cricket Association and others. We offer a huge gamut of Wooden, Sports Room and Maple Flooring. Workout Floors, Squash Court and Sports Flooring offered by us are a class apart. We also provide Teak Wood, Hall Flooring and Sports Court Lightning that are best in the industry amongst others. Our Dance Floors, Out Door and Deck Flooring are cost effective. We are highly instrumental in presenting a wide spectrum of Air Cush Wooden Flooring, Court Repair Services and Court Constructions. We have expertise in offering Wooden Flooring Installation, Cherry Wood Flooring for Sports Room and Wooden Laminated Flooring for Gymkhanas.